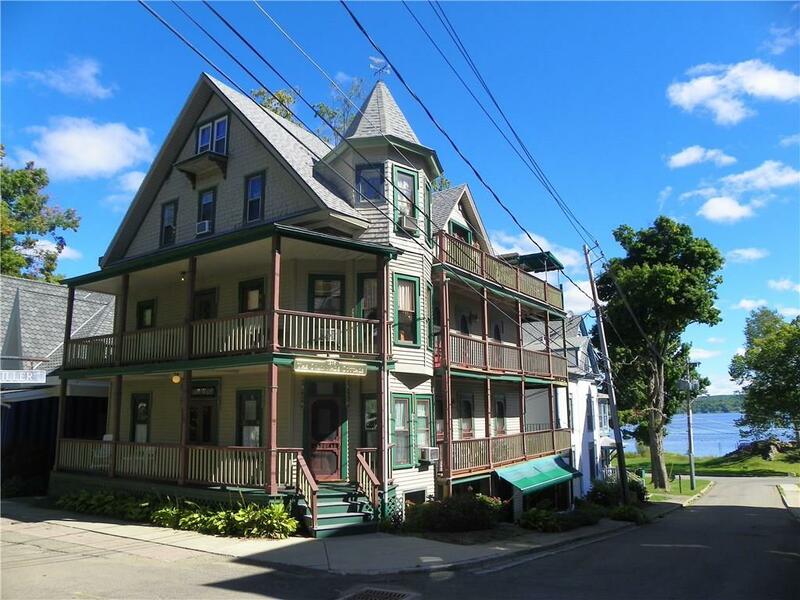 Charming 2-bedroom condo w/unobstructed lake views from crow's nest porch! Master bedroom plus loft sleeps 4 comfortably. Offers peace & serenity as you enjoy Chautauqua Lake summer breezes while taking in gorgeous sunrises & sunsets from both the crow's nest porch, as well as from deck on main living level. Centrally located just 3 blocks to either Bestor Plaza or Amphitheater, while only steps from Chautauqua Lake shoreline. Shared laundry on same floor. Being sold fully furnished. Year-round building. Many upgrades taking place this spring include, but not limited to, rebuilding porches, front steps, replacing common area carpets, updating all gutters & downspouts. Has excellent rental history for someone who is looking for an income when not occupying themselves. Directions To Property: From Main Gate Turn Right On Massey And Take Left On Miller. Go Down Hill To Simpson. Condo On Corner Of Simpson And Miller.